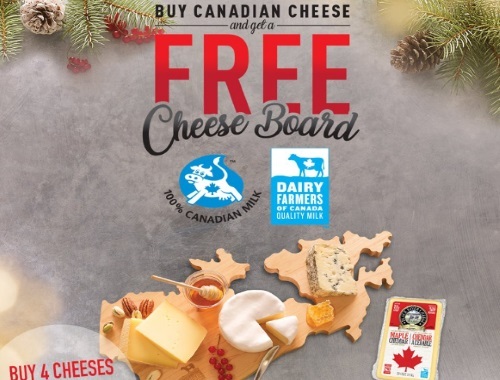 Get your hands on a limited edition maple wood Canada cheese board from Dairy Farmers of Canada! Please note all purchases must be made on a single transaction between November 20-December 31, 2017. Quebec is excluded. Limit 1 cheese board redemption per household. Promotion ends December 31, 2017. Allow 4-8 weeks to receive your cheese board.